Dieudonné & Jolie Kahozi have been friends since 2007. We met at a French Evangelism conference in Quebec when they had just taken over leadership of a roughly 70-person congregation in Montreal. Since then, that group has grown to well over 400 and they’ve started several daughter churches in the greater Montreal area. They were coming through Paris for a quick visit before heading to a pastoral training seminar in Switzerland where he would be teaching on cultivating personal holiness as a lifestyle. Since it was a Bible School weekend, Liz & I were in the area (otherwise, we’d have missed them) so we got to stretch a coffee out over a nice visit at the hotel before we hit the road back to Châtellerault. I love it when God gives us little breaths of fresh air every once in a while… such is time spent with friends. Monday was a teaching day in Angers so I was up & out early, done teaching by 12:30 and had some time to kill before I needed to drive back home. I’d never visited the Château d’Angers and decided that it was a good day to do so. It was cold and blustery outside so after a quick walk around the ramparts and the suspended garden, I headed indoors. There is not much in the way of furnishings in this castle but it houses an absolutely incredible tapestry depicting key passages of the book of Revelation. Although parts of it have been restored, it was created in the mid-1300’s. It is not only notable for it’s age however. This incredible work of hand-made art stretches 140m (460 feet) in length and towers overhead at 4.5m (15 feet) in height. Watch for another post when I tell you more about how it impacted me…. Just incredible! Just want to give a quick shout-out to our friends Clay Jackson and Jana Ellingsworth who will marry today. Jana was part of the 2015 #AYCFrance group that we spent 10 days with and she, along with her family, have adopted our family. Clay is an MD with a heart for missions. They are definitely a dynamic duo! You are another special person that our missions involvement has allowed us to connect with… and I’m curious. It’s not as existential a question as it may sound, I’m asking because sometimes the relationship between blogger & reader can veer towards being a bit one-sided. Each time you visit, you give us something… the gift of your attention which that translates into prayers, moral support and, for some, financial support as well. Stories about places we visit? Personal updates on our family? 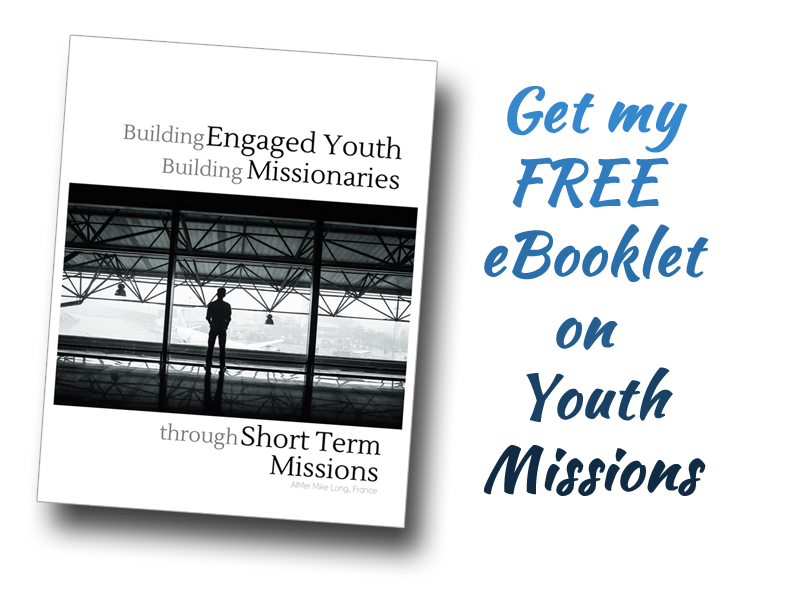 Updates on our missions work? Drop a comment below and let me know or, if you prefer, drop me a line using the E-Mail button in the top right margin. …for once again giving us the gift of your attention. God bless you and yours this new week… which is a gift from God to each of us. Great post Mike. And an excellent idea. This is something I need to do too. I certainly don’t want blogging to become one-sided! I come because I love hearing about your life and work, and knowing how I can better pray for you. And you are encouraging voice!! I always go away uplifted and encouraged! Spiritual encouragement is one of my favorites-and I love hearing about your family.